Product categories of Sensor Auto Parts, we are specialized manufacturers from China, Sensor Auto Parts, Rear Wheel Speed Sensor suppliers/factory, wholesale high-quality products of Speed Sensor R & D and manufacturing, we have the perfect after-sales service and technical support. Look forward to your cooperation! The throttle position sensor is mounted on the throttle door to detect the throttle opening. It is connected with the throttle gate through the lever mechanism, and then reflects the different working conditions of the Engine Auto Parts. This sensor can be detected in different operating conditions of the engine input electronic control unit (ECU), so as to control the different fuel injection volume. The inlet pressure sensor can measure the absolute pressure in the intake manifold according to the load state of the engine, and convert the electrical signal and the rotational speed signal into the computer as the basis for determining the basic fuel injection quantity of the injector. Computer-controlled Ignition System is the most important sensor, its role is to detect the top stop signal, crank angle signal and engine speed signal, and input into the computer, so that the computer can be in the ignition sequence of the cylinder issued the best ignition time instructions. Air flow sensor is to convert the inhaled air into electrical signals sent to the electronic control Unit (ECU), as a decision to fuel injection of one of the basic signals. The detonation sensor is installed on the cylinder of the engine to monitor the detonation of the engine at any time. At present, there are two kinds of resonant and non resonant type! 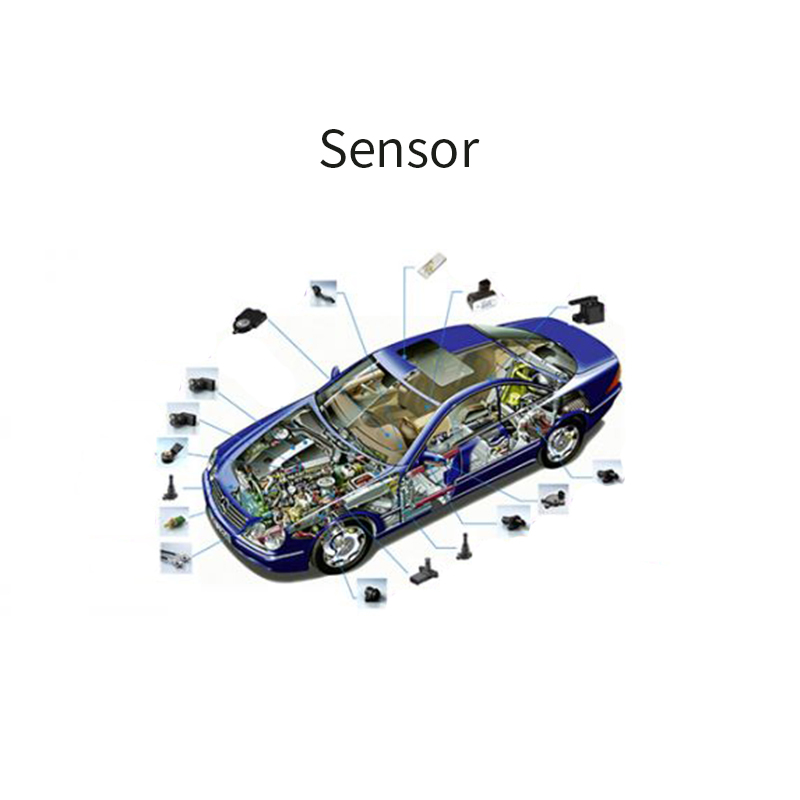 The car sensor is the input device of the automobile computer system, it transforms the information of various working conditions, such as the speed, the temperature of the medium, the engine running condition, into the electric signal to the computer, so that the engine is in the best working condition. Car sensors are many, to determine the fault of the sensor, should not only consider the sensor itself, but should consider the entire circuit failure.